Home » Annetarsia Knits » Weaving, knitting, and kitties – what more would you want on a lazy Saturday? Weaving, knitting, and kitties – what more would you want on a lazy Saturday? This has been a busy, tough week at the office for Dr. Anne. But today is Saturday, with nothing on the calendar. Whee! A chance to take stock of everything I have been doing, and assess progress. I finished the pillow fabric I’ve been weaving on the floor loom. When I took it off the loom I was amazed at how much fabric there was. Even though I was measuring as I went, 90″ of fabric is a lot when it is laid out. I had a wonderful time weaving, alone in the living room with my music playing. I’ve decided that it isn’t possible to have enough bobbins. No matter how many you have wound, they weave up so fast and then you have to stop weaving to wind more. But that is OK, I enjoy every process in weaving, so far. I am going to have to cut the fabric and sew up the pillows…sometime. I can’t bear to do it just yet. I am going to enjoy it as it is, for just a little bit. I’ve been working on the Blue Moon Mystery Knit-a-long project, but got sidetracked, so fell behind on the Clues. Now it has been revealed as “Off-Kilter”, and once I saw the finished project I decided that I could really go off-kilter if I wanted to. So I added some more short-rows here and there, and didn’t worry overmuch about following the pattern. Also, I like big shawls, so kept knitting until running out of yarn. Now I am at that point, and starting the i-cord bind-off. With about 400 sts on the needle, that will take awhile. 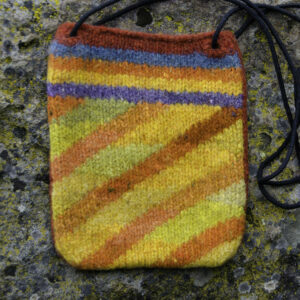 It turns out that the book I am currently reading, my cell phone case, and my knitting project all match. It has to be coincidental ( I didn’t even pick the colors for this project, Tina Newton did it for me). Right? I was too lazy to switch needles, so the stitches are all crammed onto the same 24″ needle that I started with. There are supposed to be 387 sts, but I added a bunch of rows so I know there are many more. They are too crowded to count, and I don’t want to know, anyway. I’m just hoping the needle doesn’t break. It wouldn’t be pretty. 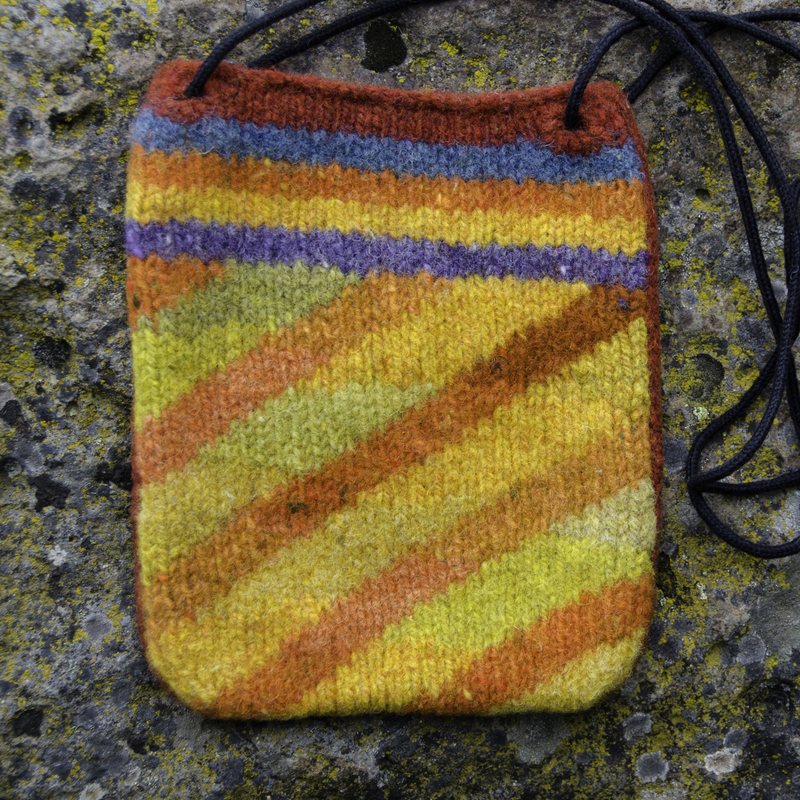 “Off-kilter”, coming off the needles. I took my first “run” in 3 months, today. I put it in quotes because it was more like a fast walk – about half my usual speed. But I went for 3 1/2 miles, and it went pretty well for a first step. 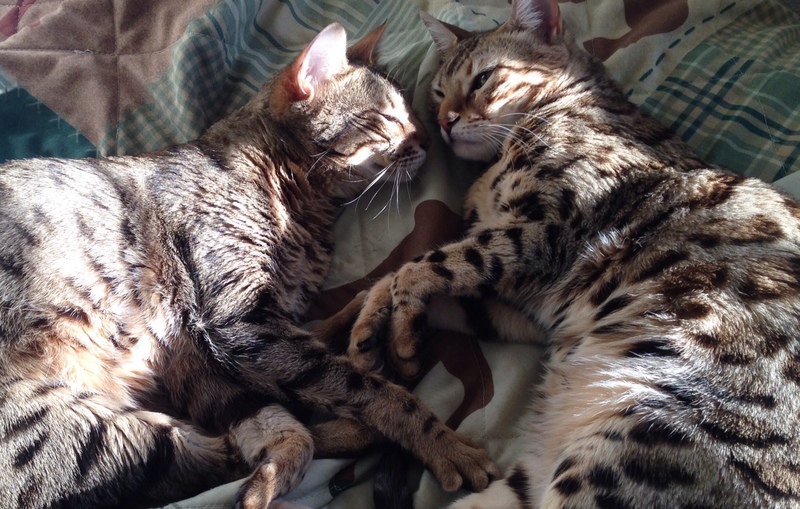 Now I am going to take a tip from my kitties, and rest a bit. I still need help drawing attention to Nancy’s ColorPlay Bag, the fund-raiser for Doctors without Borders. At $2 for the pattern, it takes a lot of us to raise significant funds. Right now we are at 41 sales, and I would really love to get to 50, so that I can send a first check for $100. Please spread the word, it really is a fun pattern, perfect for turning stash into cherished gifts.